Gold! - his own gold - brought back to him as mysteriously as it had been taken away!Falsely accused of theft, Silas Marner is cut off from his community but finds refuge in the village of Raveloe, where he is eyed with distant suspicion. Like a spider from a fairy-tale, Silas fills fifteen monotonous years with weaving and accumulating gold. The son of the wealthy local Squire, Godfrey Cass also seeks an escape from his past. One snowy winter, two events change the course of their lives: Silas's gold is stolen and, a child crawls across his threshold. 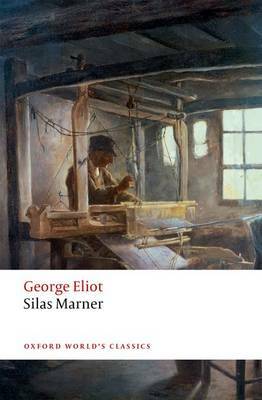 Combining the qualities of a fable with a rich evocation of rural life in the early years of the nineteenth century, Silas Marner (1861) is a masterpiece of construction and a powerful meditation on the value of communal bonds in a mysterious world.